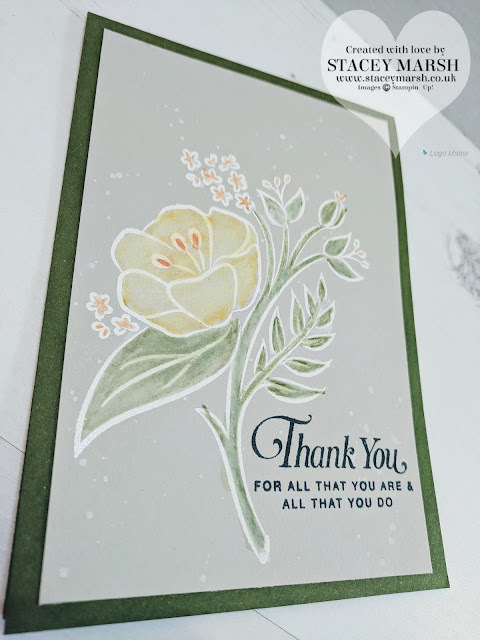 Today I bring to you one of the cards that we made at a recent training event that I attended. 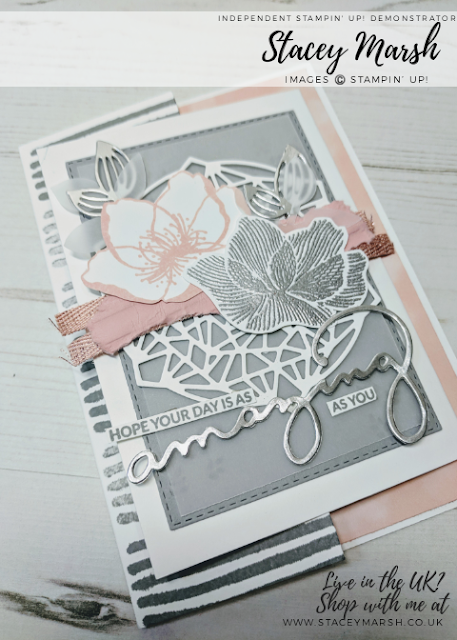 This card uses the Petal Palette Stamp Set that is proving to be a really popular set in the new Spring / Summer Seasonal Catalogue. 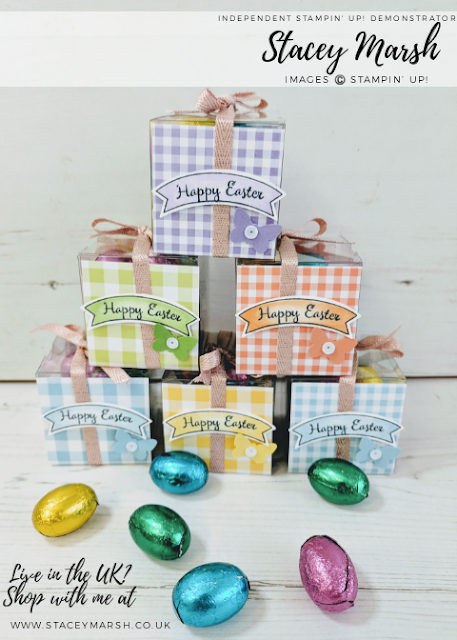 To make this card you will need a card base measuring 4, 1/4" x 11, 1/2", folded in half at 5, 3/4". I have used Thick Whisper White Cardstock for mine. Add a layer of Basic Black Cardstock that measure 4" x 5, 5/8". 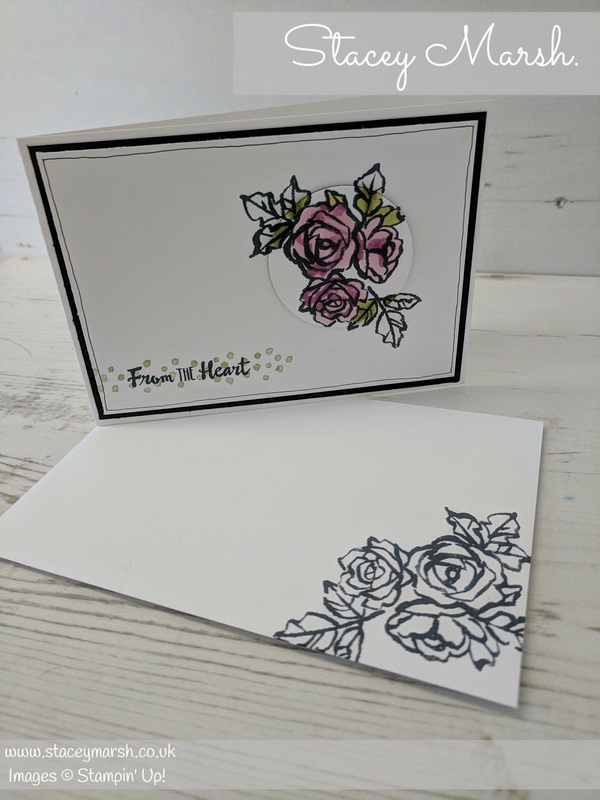 Next, Cut a piece of regular Whisper White cardstock measuring 3/34" x 5, 3/8" and using Tuxedo Black Memento Ink, stamp the large flower image in the top right hand corner. 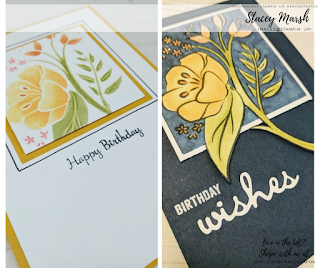 Take the 2, 1/2" Circle Punch to punch out part of the flower. 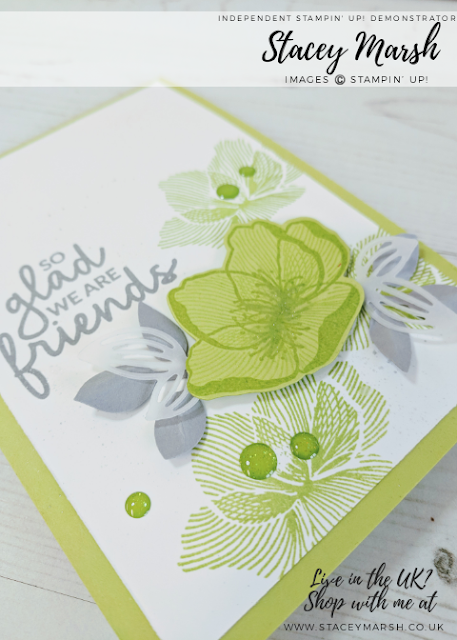 Using Stampin' Blends add colour to the flower that is showing on the punched circle shape only. Before attaching to the Basic Black layer, use Old Olive ink to stamp a row of dots, and the sentiment over the top in Tuxedo Black Memento ink. 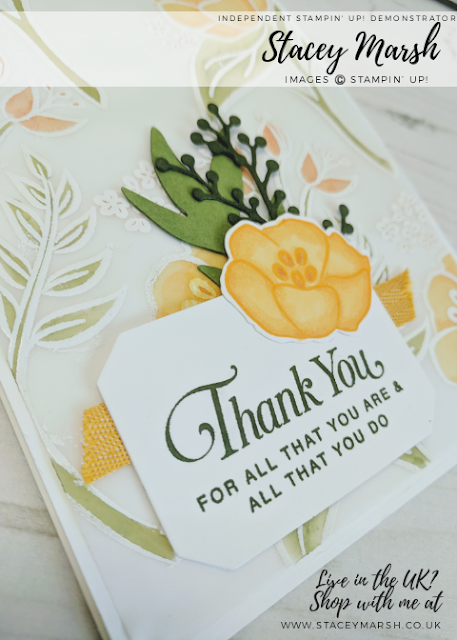 Once complete, re-attach to the card using Stampin' Dimensionals to give a raised look. 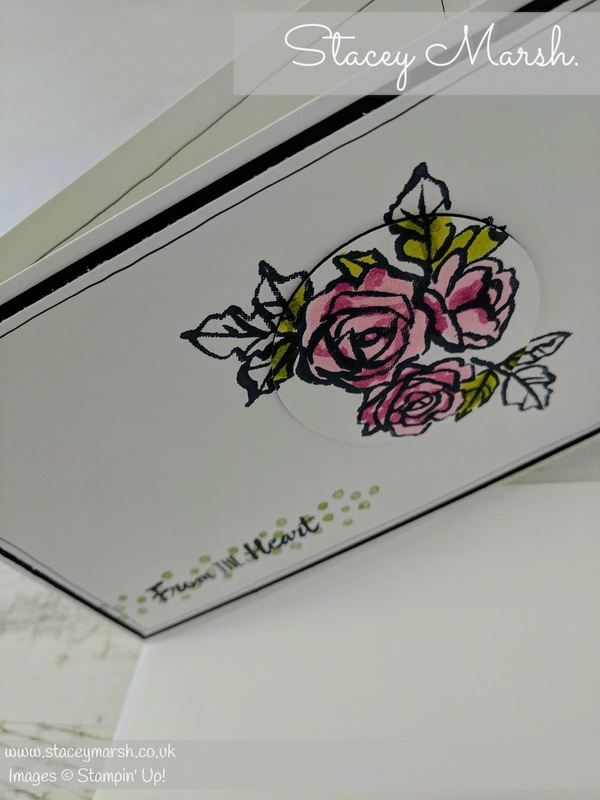 To finish, stamp the same flower onto the envelope!